While it's important to have a solid camera body, it's WAY more important to focus on putting together a kit that features the best lenses that you can. If you only shoot sports, a prime lens (prime lenses are fixed length....there is no "zoom"....want to zoom in? Move closer!) isn't much use to you. If you are only going to take photos of flowers, that 200mm zoom lens may be overkill. I say all of this because you are going to see a WIDE range of glass as you scroll down through my stuff. I shoot EVERYTHING....or, I like to try to anyway. I shoot a TON of sports. I am shooting the infield of two local quarter-mile race tracks as well as the sideline of a Semi-Pro Football Team. These have a few things in common....things are pretty fast paced, go from fairly close to a fair distance away, and don't usually happen under ideal lighting conditions. My first real investment in glass was a 70-200mm f/4 L-Series Canon Zoom lens that I use more than about anything else in my bag. 'L' Series lenses are the 'Luxury' model when it comes to Canon....I skimped on a couple things that I wish I could have afforded: I would love the f/2.8 Image Stabilized version, but that would have added $7-800 to the price. I figure I can make do haha This lens is my go-to for sports. This thing is a MONSTER! (Well, to me anyway). 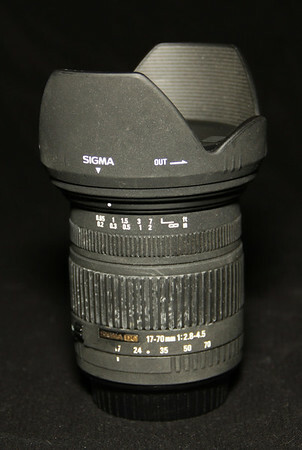 For wide-angle shots, I saved a little by not buying Canon and picked up a Sigma 17-70mm f/2.8-4.5 lens. This is much better than the normal "kit lens"...especially when it comes to lower light situations. The lower the number after the f/ is...the better it will be in lower light. I like this lens a lot and have used it for multiple events where I need to take group shots (or Victory Lane at a race track). It's awesome for shooting car shows where a normal lens won't go wide enough to shoot the entire car. This is also a Macro lens...which means that it can focus on EXTREMELY close objects (about 8" in this case) and get incredible results. 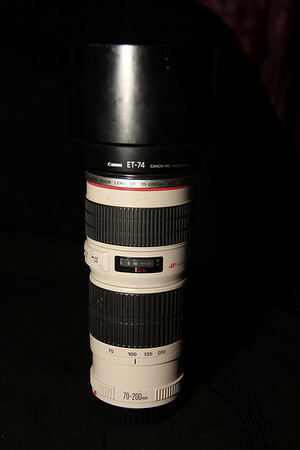 This was the first "premium" lens that I bought.....it has sure seen a lot of use!! 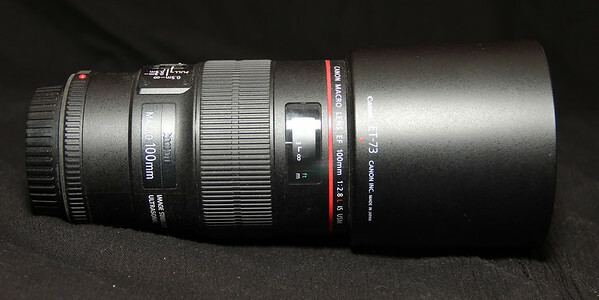 I wanted a really good portrait lens....and reviews told me to spend the money on the Canon 100mm f/1:2.8 Macro L-Series lens. This thing is INCREDIBLE! Fully weatherproof with built in Image Stabilization and life size (1:1) Magnification. I haven't used it as much yet as I will in the future....but this is a winner! My 100mm Prime.....this thing is AWESOME! 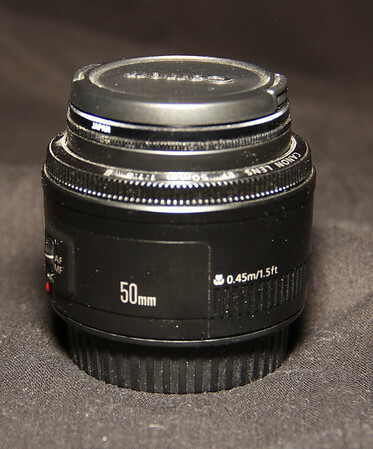 Before buying the 100mm Prime, my only experience with prime lenses was the 'nifty fifty' 50mm f/1:1.8 Canon lens. This is a pretty cool lens...even though it does feel like a toy. It's made of plastic but it gets pretty good results. Depending on the space available during a portrait session, this lens still makes the occasional appearance. When I bought the 60D it was part of a package deal with two lenses. 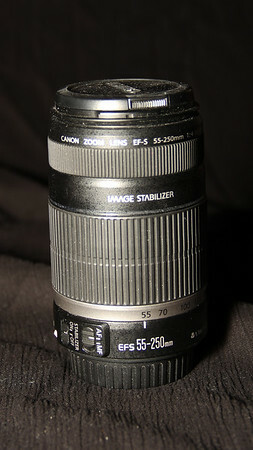 The first is a 55-250mm Image Stabilized f/4-5.6 zoom lens. This covers a good portion of the distances I shoot.....just wish that it was better in low light. The Image Stabilization does help some, but I much more often just go with the 'L' zoom. 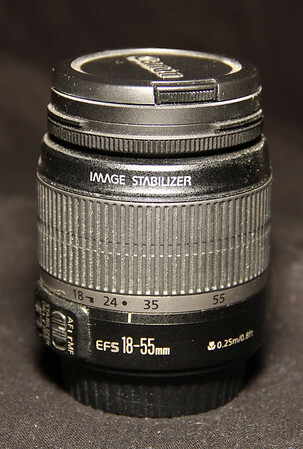 The second lens that came with the 60d was the 18-135mm Image Stabilized f/3.5-5.6 "walk around" lens. 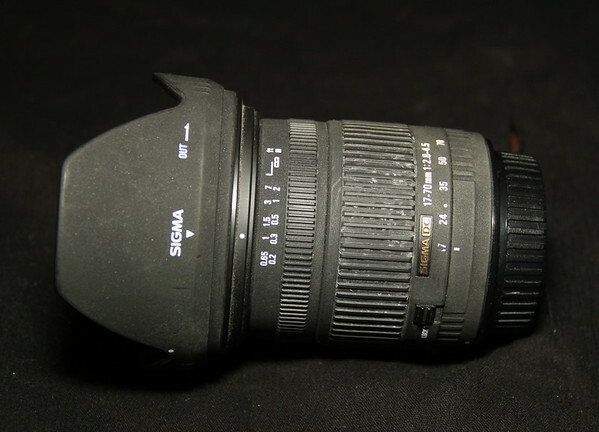 This one has come in handy a few times....as it is decent with the wide-angles needed in Victory Lane but also is able to zoom a little further than that Sigma listed up above. I had to open the bag where the XTi has been sitting for a while to see what that has on it for a lens. 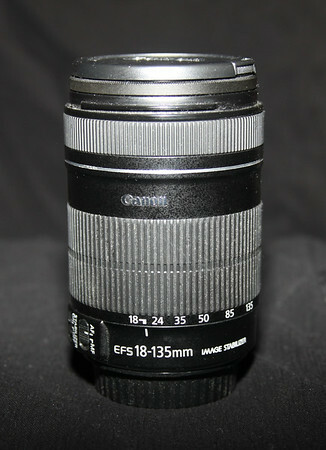 It's a 18-55mm Image Stabilized f/3.5-5.6 wide angle kit lens. I don't use it very often (because it's not very good in lower light...especially since it lacks Image Stabilization) but I also have a 70-300mm f/4-5.6 zoom that came with the XTi all those years ago. Click here to read about the rest of my "stuff"